New localization announcements on the horizon. 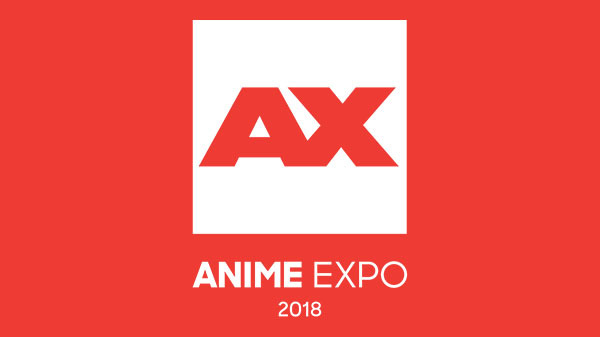 Anime Expo 2018 will be held at the Los Angeles Convention Center from July 5 to 8, and studios such as Aksys Games, Arc System Works, Bandai Namco, NIS America, Spike Chunsoft, and XSEED Games are hosting panels where new game localizations will likely be announced. 7:30 p.m. to 8:30 p.m. – Nep Yeah! A Community Panel – Need some pudding in your life? Swing by the Idea Factory International Community Panel where the lovely marketing team talks about new announcements and releases! We?ll also have some fun activities and giveaways! 9:00 p.m. to 10:00 p.m. – Arc System Works: 30 Years of Video Game History – Meet the people responsible for cutting edge fighting games including Guilty Gear, BlazBlue: Cross Tag Battle, and the one we all want to talk about but know we can’t. Arc System Works America presents 30 Years of Game Development History with President Minoru Kidooka and Producer Toshimichi Mori. 9:00 p.m. to 10:00 p.m. – JAST USA Panel – Get the latest news on recent and upcoming visual novel games from JAST USA. 11:00 a.m. to 12:00 p.m. – Spike Chunsoft’s Steins;Gate Panel (Twitch, YouTube, Facebook) – Spike Chunsoft partnered up with Mages. / 5pb. to bring Steins;Gate Elite to the west for PlayStation 4, Nintendo Switch, and Steam! Sit down with the team as they talk all things Steins;Gate and Science Adventure. 11:30 a.m. to 12:30 p.m. – Developing Japanese-Style Multiplayer Games on the Nintendo Switch – Takuya Aizu (Mega Man 9, Mega Man 10, Azure Striker Gunvolt, Gal Gun, and more) and Yoshifumi Hashimoto (Rune Factory, Harvest Moon, and more) share their experiences with game development on the Nintendo Switch from a Japanese developer’s view, and what it’s like to make multiplayer-focused action games. Join them for Q&A and a surprise! 12:00 p.m. to 1:00 p.m. – NIS America Community Panel – 15 years of Prinny fun! NIS America’s marketing team discusses past landmark titles and upcoming games along with new announcements, new trailers, and prizes! With titles like Disgaea 1 Complete, Labryinth of Refrain: Coven of Darkness, SNK Heroines, and SNK 40th Anniversary Collection, what else can NIS America be hiding, dood? 2:30 p.m. to 3:30 p.m. – 2D is Laifu with the Creators of Neptunia! – The creators of Neptunia discuss their new side-scrolling RPG, Super Neptunia RPG! Artist Tsunako and producer Mizuno chat about how they brought fan-favorite characters to life! Get a peek at an early access, in-depth look into the game’s 2D-focused art. Plus, experience a live drawing by Tsunako! 5:00 p.m. to 6:00 p.m. – Spike Chunsoft’s Official Uchikoshi Panel (Twitch, YouTube, Facebook) – Zero Escape series writer Kotaro Uchikoshi returns to Anime Expo to unveil his plans for 2018! 6:00 p.m. to 7:30 p.m. – Trigger x Arc System Works Presents Kill la Kill the Game – The world was shocked to find out Arc System Works and Studio Trigger were secretly working together behind the scenes on a Kill la Kill video game. Join us for a panel including members from Arc System Works and Studio Trigger on the art of turning anime into a game. 6:30 p.m. to 8:00 p.m. – Welcome To The World of Monster Hunter! – Fan of Well-Done Steaks? Enjoy beating up monsters with weapons of all sizes? Then welcome to the world of Monster Hunter! In this panel, you’ll learn about how Capcom’s niche title turned multi-million dollar global seller paved its way to revolutionizing the game series with each installment. 9:30 p.m. to 10:30 p.m. – Frontwing TV Live! 2018 – Frontwing returns to Anime Expo to bring you all our latest news, announcements, and exclusive previews! Get a firsthand look at the upcoming Grisaia: Phantom Trigger anime, forthcoming games such as Phantom Trigger Vol.5 and Loca-Love, and more. Plus, we might have a few surprises up our sleeves! 10:30 p.m. to 11:30 p.m. – KLab Games Industry Panel – A panel by KLabGames. 5:30 p.m. to 6:30 p.m. – Aksys Games Panel of doubleplusgoodness! – Come join Aksys Games as we show how the indomitable wills of men, women, and little furry creatures from Alpha Centauri can achieve all! …Okay, we’ll be shilling games, announcing stuff, and answering questions / facilitating marriage proposals between endless puns. But hey, it’ll still be fun! 5:30 p.m. to 6:30 p.m. – Localization of Labyrinth of Refrain: Coven of Dusk – Hear about the process and strategy involved in the localization and design of Labyrinth of Refrain: Coven of Dusk! The Labyrinth team discusses their work, challenges, stories, and overall expertise in localizing the next great RPG from NISA! 7:00 p.m. – Dragon Quest XI Live Stream featuring Yuji Horii and the Development Team (Twitch) – Join Dragon Quest series creator and game designer Yuji Horii for a special live stream. We’ll talk about the series, play the game, and raffle off some great prizes! 8:30 p.m. to 9:30 p.m. – XSEED Games Localization Panel – Interested in what goes on behind the scenes in game localization? Hear industry veterans discuss past, present, and future projects, touching on topics like acquiring game rights, translating cultural nuances, and overcoming hurdles along the way. Stick around till the end for a Q&A and raffle! 10:00 a.m. to 11:30 a.m. – Gundam Game Panel Presented by Bandai Namco Entertainment – This is the official Gundam Game panel presented by Bandai Namco Entertainment. The producer of New Gundam Breaker will be providing new announcements and behind-the-scenes information! 10:30 a.m. to 11:30 a.m. – Zanki Zero with Danganronpa‘s Terasawa & Sugawara (Twitch, YouTube, Facebook) – Join Spike Chunsoft and Danganronpa series creators Yoshinori Terasawa and Takayuki Sugawara as they discuss Zanki Zero: Last Beginning and Spike Chunsoft’s plans for the future! 12:00 p.m. to 1:00 p.m. – New Era of Visual Novel: Dive Into the Screen with VR Technology – Join Haruki Kashiwakura (Expelled from Paradise, Project Hikari) Christopher Ling (Sekai Project) in a discussion of the future of visual novels moderated by Kento Kishigami, the CEO of MyDearest Inc.! Discover Tokyo Chronos with Sekai Project! 2:00 p.m. to 3:00 p.m. – Idea Factory International: Localizing a Brand New IP – Idea Factory International, known for the Neptunia series, will be announcing a new IP! Meet Idea Factory International’s translators and editors who are faced with a complex question: how do you translate the nuances of a Japanese body of work for a Western audience? Join us in our discussion! 3:00 p.m. to 5:00 p.m. – Visual Novels with Sekai Project – Come meet the team behind LA-based licensing and publishing company, Sekai Project! We’re celebrating our 5th year anniversary and will talk about the current state of visual novels in the West including information on upcoming releases, Q&A and giveaways! We have some surprises so stop on by! 3:30 p.m. to 4:30 p.m. – Yasuhiro Wada: Little Dragons Cafe and Beyond – Join Harvest Moon / Story of Seasons creator Yasuhiro Wada as he talks about his latest game, Little Dragons Cafe. Learn about the history and evolution of the story and characters of everyone’s favorite Real Dragon Husbandry Simulator?! There will be a Q&A session at the end of the panel. 4:30 p.m. to 5:30 p.m. – Fate/Grand Order 1st Anniversary Celebration Event – Fellow Masters! Join us as we celebrate Fate/Grand Order’s one year anniversary with special guests Ayako Kawasumi (Altria Pendragon), Satoshi Tsuruoka (Arash / Gilles de Rais) and Yosuke Shiokawa (Creative Producer of the Fate/Grand Order Project)! Rayshift to Petree Hall for the latest news and giveaways! 11:00 p.m. to 12:00 a.m. – MangaGamer: The Now & Future of Visual Novels (18+) – Through pictures and prose, visual novels have become one of the fastest growing storytelling mediums within anime and manga. Please join us, MangaGamer, as we explore this growing literary format with our guest Min-Naraken (Alicesoft), and see just what the future will bring at MangaGamer.com. 3:30 p.m to 4:30 p.m. – “Play Anime!” hosted by Bandai Namco Entertainment America Inc. – Don’t just watch anime! Play anime! Join Bandai Namco as they talk about their upcoming titles, including My Hero One’s Justice and Code Vein, show off new trailers, artwork, and give away some exclusive swag! They will also be making some amazing new announcements! You won’t want to miss this!